What Is a Princess Party? | The Princess Party Co.
What Is a Princess Party? A princess party is a themed event popular for birthday parties and other children's gatherings. Most often princess parties are thrown for toddler to preteen girls, though boys sometimes attend or ask to have their own. Princess performers are hired as entertainment. These impersonators are trained to portray princess characters based on fairytales and classic stories and attend parties in costumes or dresses that strongly resemble that character’s attire in literature and film. A princess party performer will interact with children using the iconic personality of the princess. Other customary things for hosts to arrange for their child’s princess party include dress up, games, storytime, and sweets and themed foods. The event space is usually decorated by the party host to correspond with a favorite fairytale or a character’s color scheme. How do I book a princess party? It’s so easy to book one of our princess parties! Fill out your information using our online party planning form or simply call (888) 590-1934. We have experts standing by to take your call. We recommend booking your princess party as far in advance as possible. Our princesses are extremely popular, so the sooner we know about your party, the better! However, don’t hesitate to contact us if your date is coming up soon. We specialize in last-minute events and will do everything we can to make your party happen. Due to overwhelming demand, we require a $75 nonrefundable deposit when you book to hold your date. Do you offer any charitable donations or discounts? 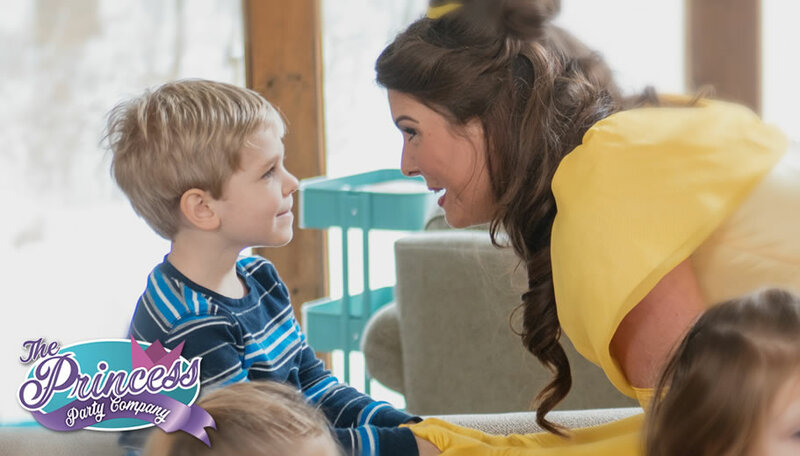 At the heart of The Princess Party Co. is our love for spreading magic to underprivileged and less fortunate children and helping out whenever we can. 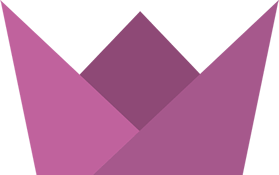 We enjoy working with a variety of nonprofits and with other unique charitable situations. For the best response, please email us at princessesforcharity@gmail.com to see how we can help spread a little magic at your event! What is your policy for rescheduling? The first and most important thing to know is that we handle everything, so you don’t have to worry. While every party package is different, there is a general timeline that our princesses follow. The princess will text or call you upon arrival and you will let her know when is the perfect moment to make a grand entrance. Once she has arrived and has greeted your child, she will begin with storytime. This helps get the kids out of the awestruck mindset and become more comfortable with the princess. Depending on the package, things like Charm School and various games will happen next. If you choose to add on The Royal Deal, a princess makeover will follow. Near the end of the party, we want to make sure you get special time to take pictures with the princess and any of the party guests. Once you’ve gotten all the pictures you want, the princess will help sing Happy Birthday as the cake comes out. After this is always the perfect time to conclude a magical party. Does my princess party have to be at my home? You can hold your princess party just about anywhere! Whether you’d like your own kingdom to be the venue or you’ve rented a hall, park, or other space, our princesses will be more than happy to make their grand entrance in the place of your choosing. Outdoor parties are okay as well, but we ask that you please be mindful of the conditions and have a backup plan in place should there be inclement weather. You will not have to prepare or provide anything beyond what you will need for the party before your princess arrives and after she leaves. Our princess will come prepared with all supplies and props necessary for your chosen activities. Please keep in mind that she will not be bringing decorations or dress up clothes for your princesses, so you will have to provide those extras if you’d like them. What is the ideal age for a princess party? 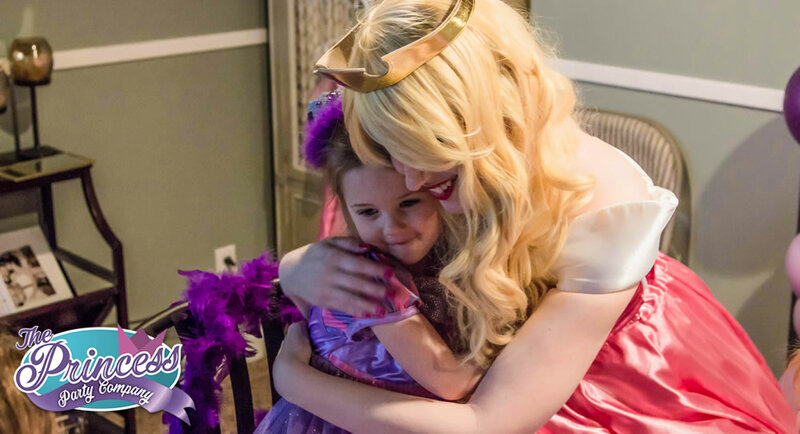 We’ve found that children of just about any age can appreciate the magic of a good princess party! You know your kids better than anyone else, so you would be the best judge of what would make your children happy. The most popular age range is 1 to 13 years old.